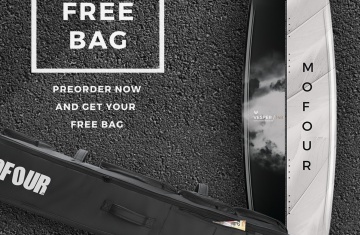 Come and check out our newest gear and have a go at the – for riders by riders – contest Game of M.O.F.O. (#GOMO4). 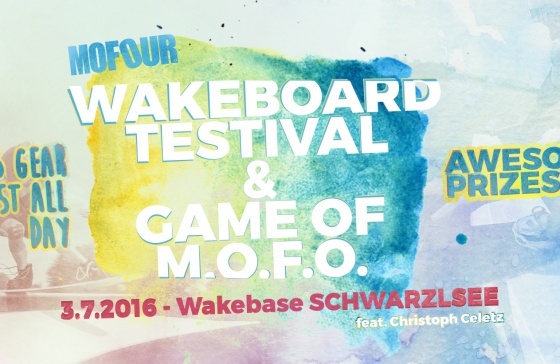 Don’t miss on an epic wakeboarders gathering, and for all you guys and gals who will either test the MO4 Wakeboards gear or participate at the #GOMO4, the awesome folks at Cablepark Wakebase Schwarzlsee will fix you up with a 5€ discount for a daily cable park ticket. 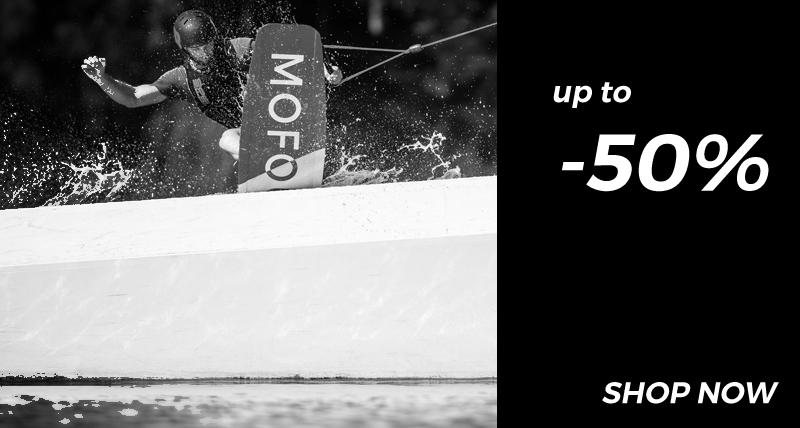 • Registration at info@mofourwakeboards.com by Saturday – 16.7. • Normal game of wake rules apply. 1 vs 1 (head to head). • riders play rock, paper, scissors. winner chooses what obstacle, kicker or area of the cable and what trick. • if one rider crashes and the other rider lands the trick, then the rider who crashes gets a letter. • the rider who landed the trick get to choose the next trick and obstacle etc. • if both riders land then game carries on with the rider who won rock paper scissors chooses another trick. • if both riders crash then game carries on with the other rider choosing trick. the trick then the game carries on. • 4 rounds. 1st round, 2nd round, semi ﬁnals, losers ﬁnals/winners ﬁnals. 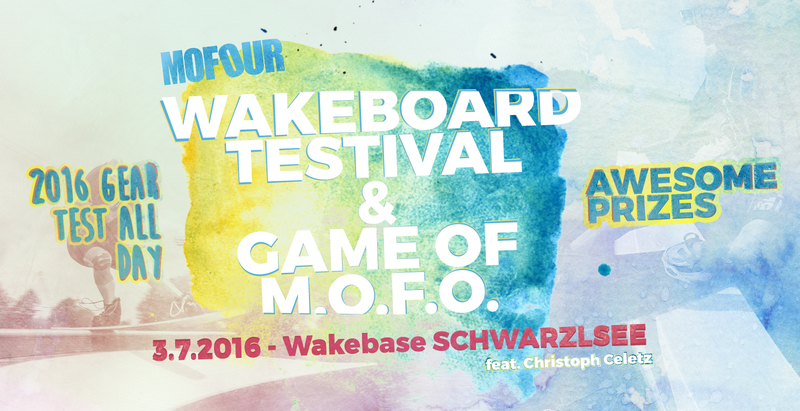 Spread the news and see y’all at the Wakebase!